RalliSport Challenge is another racing game for all the speed maniacs and car lovers! The types of races are: Hill Climb, Ice Racing, Rallycross and traditional Rally. The eight locations where you will compete are modeled with maximum care, details, innovation. So, this game convinces us with its high quality and realism regarding the graphics area, and this is not the only aspect worth of praise. Every environment element amaze us with its mobility, animations and effects, along with the light dynamics present on every spot of your vehicle. 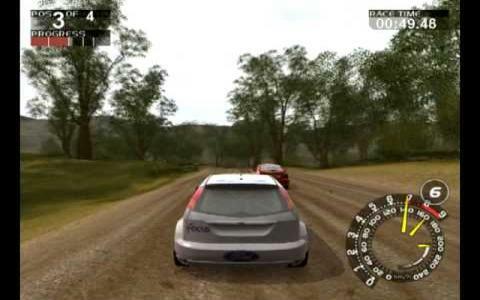 Another long-awaited car simulator is ready to take down the reputation of this game, but the second proved its strength in order not to be dethroned. I am pretty sure that RalliSport Challenge will remain on top long time before and after the release of Colin McRae Rally 3. The soundtrack will keep you stuck in front of the computer many hours, along with the captivating gameplay and action that run fluently. You will experience the adrenaline as you throw yourself into the thoroughly rendered tracks, at the wheel of a high speed car! The AI is not a joke, and the few visually bugs you will probably notice won't stop you from considering this game a real zinger, that succeeds to win the interest of all the racing passionates!